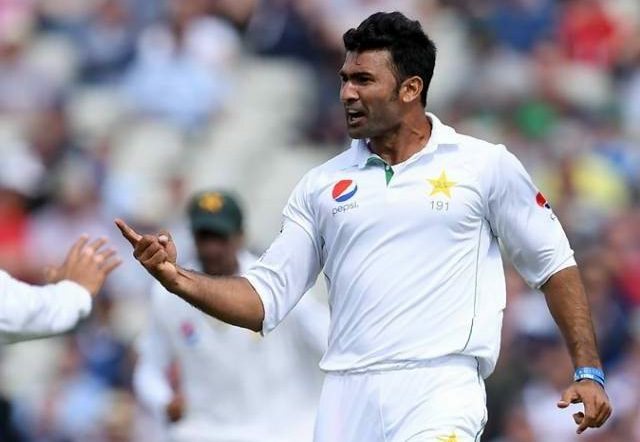 Sohail Khan shot to fame during the 2015 World Cup when he took five wickets against India, including the prize scalp of Virat Kohli. His aggressive style of bowling also saw him pick five wickets in an innings in the 4th Test at The Oval in 2016 but since then he has struggled to find a place in the Pakistan side. In an exclusive interview with PakPassion.net, Sohail spoke about the current domestic season, proudest moments of his career, his relationship with Pakistan Head Coach Mickey Arthur and bowling coach Azhar Mahmood, the fiery incident involving Yasir Shah in the 2018 edition of the Pakistan Super League and why he feels he can continue playing for Pakistan even at the age of 34. PakPassion.net: It's early days in the current domestic cricket season but how do you feel it's going for you so far? Sohail Khan: The season is going well but then these are early days and there is plenty of cricket to be played in the coming few months. I always aim to be the top bowler in domestic cricket and if you look at my track record, I have achieved this honour a few times in all forms of the domestic game and there are close to 12 trophies at my home to prove that point. This season is a long one with 4-Day and One-Day games and then we also have the National T20 tournament followed by PSL and the Grade 2 competition as well. There is a lot of cricket to be played so I will try and take some time off in the middle as well. PakPassion.net: Weather conditions are very tough in terms of high temperatures, so it must be difficult to play cricket nowadays? Sohail Khan: The temperatures are extremely high in most parts of the country and I hear that one of the players passed out due to the heat which is not good. I feel it is completely excessive to hold any matches in such weather, but I suppose, this is our bread and butter and we players will keep on playing regardless. Even in the past we have played in cold and hot weather, so I suppose this is not different but regardless of that, this is a very tough season. There are so few gaps between games and I am at a loss to understand the point of this schedule where we are playing a 4-Day game, then have a day’s rest, followed by a One-Day game and so on. The Board should take into consideration such issues with weather and whilst I am used to playing in harsh conditions like Dubai or even in Karachi, I am sure other players aren’t used to them and that’s why we are hearing news about a player collapsing and some others also refusing to play due to the heat. This is not right and should be changed. PakPassion.net: What has been your proudest moment when playing for Pakistan, so far? Sohail Khan: There are a few memorable moments that I cannot forget as they brought me so much joy. The first was the time when I took 5 wickets against India in the 2015 World Cup game in Adelaide. This was special because I had challenged myself and others to accomplish this task and I was able to do it and also picked up the prize wicket of Virat Kohli as well. In the same tournament, I claimed the crucial wicket of AB de Villiers which was important for our victory in that game. Then of course, the performance in the 4th Test at The Oval against England in 2016 where I took 5 wickets in England’s first innings is also a proud moment for me. It was even more special because not only did my performance help in squaring the series, it also contributed towards Pakistan’s rise to the number one position in the ICC Test Rankings. PakPassion.net: You have only played 27 international matches so far which must be disappointing? Sohail Khan: I have absolutely no regrets or disappointments about not playing more cricket for Pakistan. To be honest, it is due to the blessings of The Almighty that I have played whatever international cricket I have played so far. I am a firm believer in the fact that it's always been through the blessings of The Almighty that I have represented Pakistan and that is how it will be in the future. I am very close to Inzamam-u-Haq who has taught me a lot about cricket and the amount of respect I have for him is more than I have for any other senior player. Yet, I will say that my playing in the national eleven is not in his hands but in the hands of The Almighty. Of course, I have a lot to learn and I am doing that every day, but I will put in my best efforts and the rest is beyond my control. Let me also add that I am excluded from the Pakistan team not due to any deficiency on my part, but strangely enough I am not included in the side despite having performed well. I have a Test batting average of over 25, I have taken crucial wickets in Tests and also performed well in the World Cup, yet I haven’t been picked for the national side since 2016 in Tests and ODIs and last played for Pakistan in a T20I in 2017. But, I am not a negative thinker and I am enjoying domestic cricket and also focusing on leagues such as the PSL and the T10. My aim is to continue playing for Pakistan and I feel that even if I am given half the chances that some players have been given, I will achieve a lot more for my country than many others. PakPassion.net: There were question marks over your fitness when you were playing for Pakistan. Was that an unfair assessment? Sohail Khan: That is totally incorrect. There were never any doubts about my fitness and as you can see from my recent figures in the Quaid-e-Azam Trophy, I took 6 wickets at a time when we have reports of players fainting due to extreme heat. The facts are that I have had no issues with my fitness and I am doing very well. I always make sure that I am fit as this is a requirement if you need to be playing in such long domestic seasons. And for those worried about my fitness, let me assure them that I wouldn’t be able to be a top bowler in the past domestic seasons without having a good level of fitness. PakPassion.net: You are pretty fired up when you bowl but do you think the current crop of Pakistan bowlers lack that sort of aggression? Sohail Khan: It was Wasim Akram who taught me the idea of having aggression when bowling to the opposition. His point was that if a fast-bowler does not have anger and fire in him, then he cannot be classed as a fast-bowler. Let me tell you that we have one bowler who is currently playing Test cricket for Pakistan who after completing his delivery, just turns around and walks back to start of his bowling run-up. Such bowlers have no real aggression which is in contrast to what the likes of Shoaib Akhtar and Wasim Akram had in them. It is this style of bowling that I have learnt from some of our great bowlers and this is what you see whenever I bowl. PakPassion.net: How would you describe your relationship with Mickey Arthur? Sohail Khan: I have a great relationship with Mickey Arthur as he treats me like his own child. He really praised me when we were in Australia and I feel he is a great coach simply because he has delivered what he had promised to do. PakPassion.net: How are your relations with Azhar Mahmood? Sohail Khan: Azhar Mahmood has a been an excellent teacher for me. I didn’t get enough chances to work with him but whatever time I have spent with him recently, I can confidently say that he has taught me aspects of cricket that I had not learnt before in my career. He is like an elder brother to me and I respect him immensely as a teacher. PakPassion.net: How has the Pakistan Super League experience been so far and are you looking forward to the next season? Sohail Khan: I had an injury problem in the previous edition of the PSL where I was representing Lahore Qalandars. I had a bad fall whilst I was fielding which resulted in my not playing a few games. I take my fielding very seriously and that effort probably resulted in the injury. Looking ahead, I am very interested in playing the next edition of the PSL and regardless of which franchise I represent, I will aim to become the top wicket-taker in the tournament and more than that, I want to show some special skills in my fielding as well. PakPassion.net: What happened between you and Yasir Shah at the PSL and how was it resolved? Sohail Khan: Let me start by saying that I know Yasir Shah since the time we were kids and we are as close as brothers. Only a few days ago, I spent some time at his home, so we have a great personal relationship. What happened in our game against Quetta Gladiators was that Yasir had a towel on him which he would use to dry the ball. I didn’t have any cloth or towel on me, so my intention was to throw the ball towards him and ask him to wipe the ball for me. Unfortunately, he wasn’t looking at me even though I gestured at him before throwing the ball to him. He was surprised by the ball being thrown at him and that was simply a bit of a misunderstanding. I did clarify the issue with him afterwards and that was the end of the matter. Like I said, he is as close to me like a family member and I do spend a lot of time at his place so there really is nothing more to it. PakPassion.net: At 34, do you still believe that you can play for Pakistan? Sohail Khan: I don’t consider age an issue at all for me regarding international cricket. For me, it's simply a case of being able to play on as long as my body will allow and to serve Pakistan to my fullest abilities.